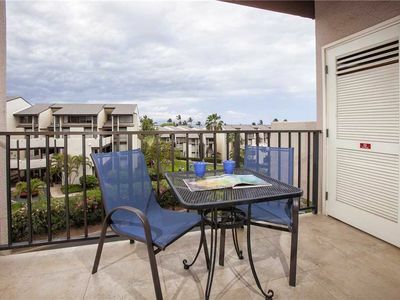 This spacious ground floor Kihei Holiday 116 unit has everything you need for your home away from home. 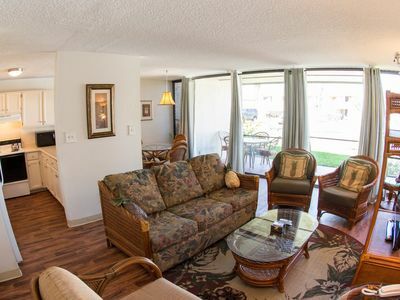 Enjoy the fully stocked kitchen and the washer and dryer. 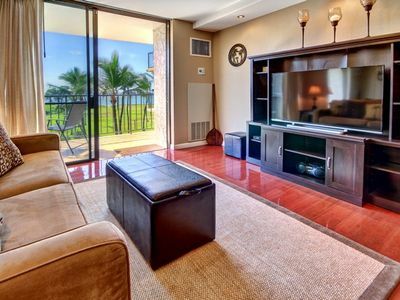 With many seating options enjoy meals in the comfort of your living room. 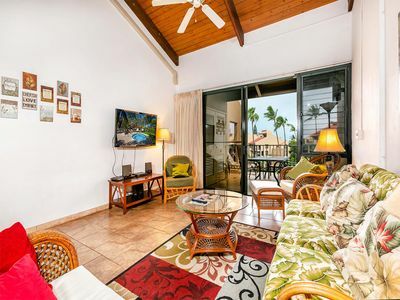 Living Room: This living room, spaciously divided into a dining area and seating area with a flat screen television, will surely enhance your experience on Maui. 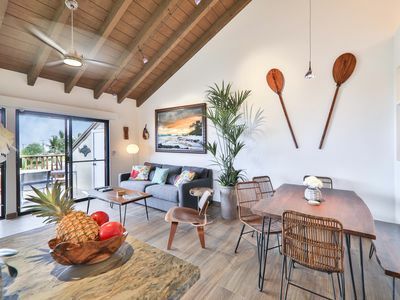 Its proximity to the kitchen also makes for an inclusive atmosphere, where you can easily make food and cocktails for friends and family to enjoy. 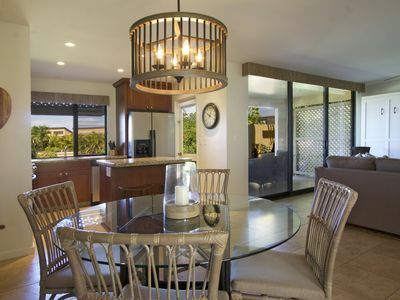 Kitchen: This fully-stocked kitchen is easy on the eyes with its all white design and new appliances. 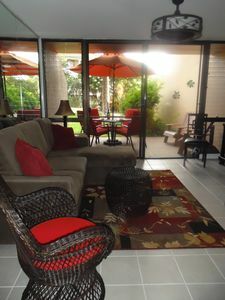 The long counters provide a bar-like space with stools accessible from the adjacent dining area. 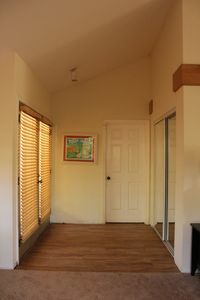 Master Bedroom: The master bedroom provides plenty of room for storing your personal items with its wooden dressers and open closet. 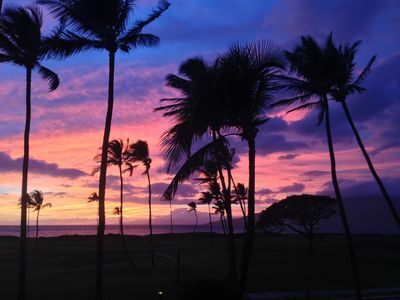 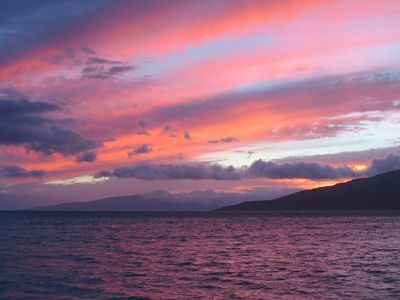 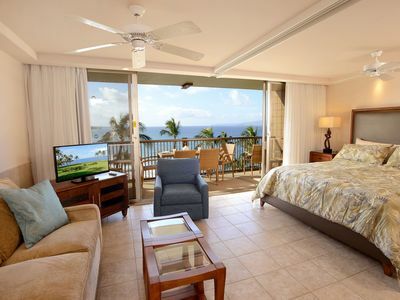 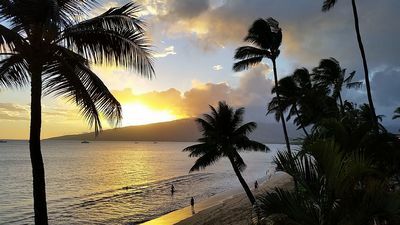 The Queen size mattress is comfortable for relaxing after a long day enjoying the plentiful activities on Maui. 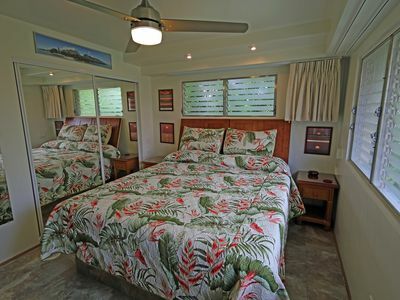 Guest Bedroom: The matching Twin beds in the guest bedroom comfortably sleep two, while providing ample of space for your goods and personal items. 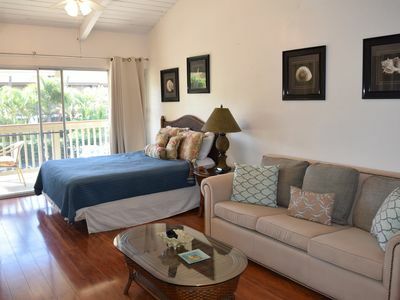 The bedroom is positioned nearby a full-sized washer and dryer unit for added convenience. 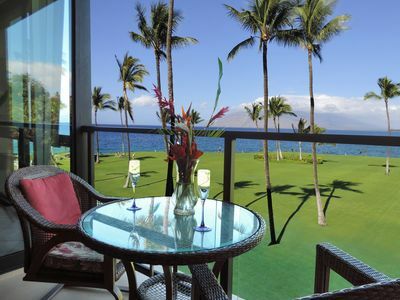 Lanai: This lanai is located on the ground level, providing easy access to and from hotel facilities such as the pool. 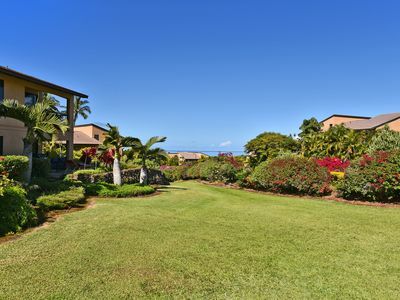 With garden views and a cushioned seating area that seats four, enjoy downtime on this comfortable lanai. 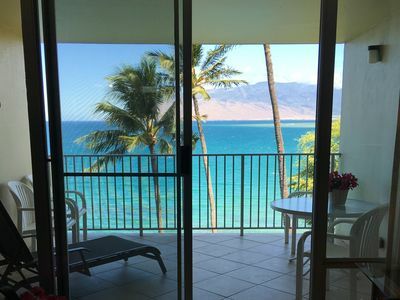 Well appointed 1 bed + 1 1/2 bath ocean view unit! 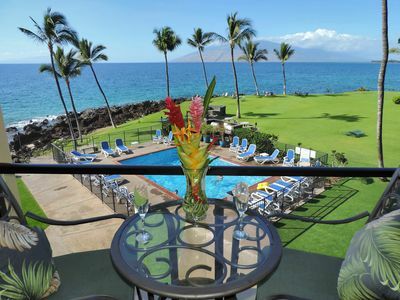 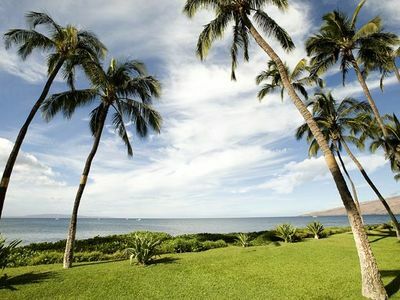 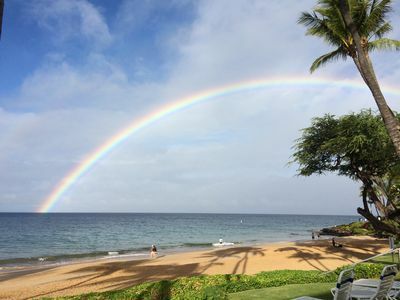 Magnificent oceanfront, two bedroom, two bath condo with panoramic views, KIHEI BEACH, #310.